You made a statement that Senator Sander’s response to violence at the #NVDemConvention was not acceptable. I agree with you. His response was not acceptable because it was not needed or warranted in any fashion. First off, there was no violence at the event. As an attendee who was on site for over 17 hours, I would request any evidence of violence or threat by a Sanders supporters be presented immediately. We can assume the lie began with Chairwoman Lange, but what correlation was given? What photos, videos, or notes from the widely recorded event have come forward? None, as they do not exist. The mainstream media was long gone, and our phones and tablets continued to tell the story across social platforms like Facebook and Twitter and media outlets such as The Bern Report. You choose to control the DNC as a populist movement for Clinton, however you have neither the voters or the right to stump up fighting gender inequality as a symbol for your floundering candidate. As Secretary Clinton continues to lie, falsify, or cheat her way through each day she is supported by her fine friends, such as yourself. 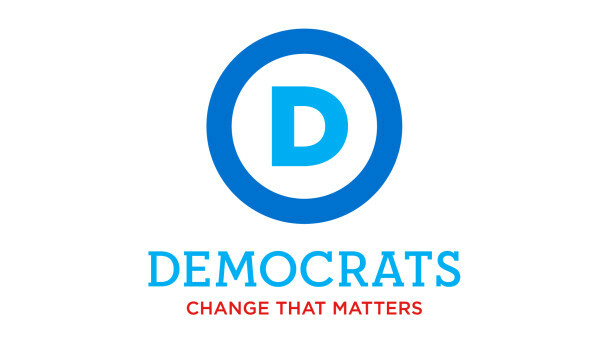 I would like to thank you for your service to the Democratic Party, in addition to your time served as the DNC chair. I can only hope you do not find joy looking back with fondness on the party you chose to help rip apart. There was no violence. There was no threat. There was no harm done on Saturday May 14 by Sanders delegates. The harm that was done was in fact perpetrated by the DNC in choosing to actively silence the voice of their majority in Nevada, at the hands of the Roberta Lange. When she slammed the gavel to close the night on an open motion to end super delegates in Nevada. This final move was followed by panic and fleeing the convention by staff, while misrepresenting violence to law enforcement. The Democratic Party in Nevada misrepresented its members and disenfranchised delegates. Democrats demand active democracy from their leadership. Instead Sanders supporters are met with fraud and suppression from participation in constitutional democracy. They are slandered as violent when voices are all that have been used to demand equality in our voting process. As a Democratic Party leader, truth should be a major component of your quest to unify the party, and here you have shown continued dishonesty and lack of character. Secretary Clinton is not the beloved candidate. Her entitlement, scandal, and legal issues are not attractive to the voters, nor is her inability to maintain a stance on any issue once donor funds are presented. We, the voters of the Democratic Party, demand investigation and truth into the fraud committed on behalf of our party in Nevada. We also demand an apology for your untruthful statements and involvement in coercion. With cries to unite the party, it’s time for the natural candidate to be supported rather than the entitlement candidate being forced upon us. Sanders supporters do not condone violence, are every day people, and are done with shenanigans. We have blocked Clinton from any possible win and will be taking our candidacy for Sanders with a smile at the contested convention in July. P.S. We all know you staffed 72 positions with Clinton supporters and 3 Sanders supporters…you might want to fix that while you still have a chance.